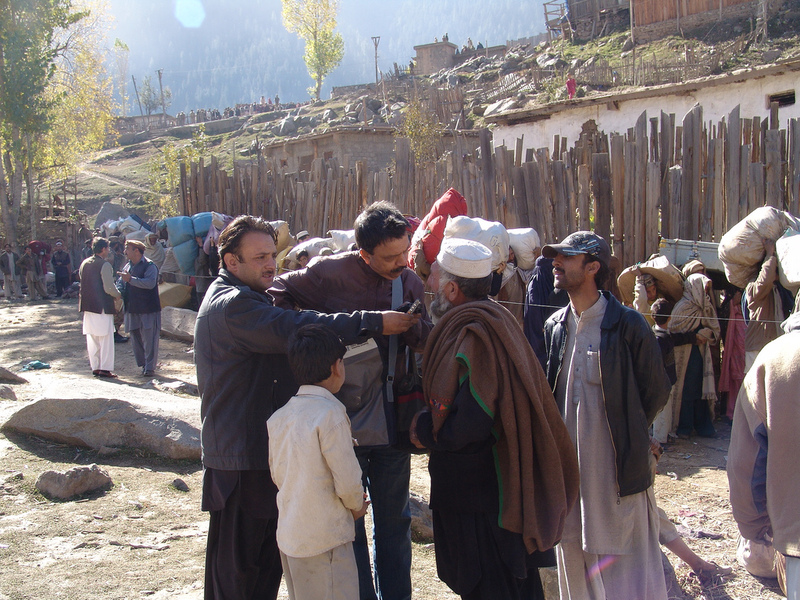 Pakistani journalists interviews flood affected people after taking a flight on a U.S. military helicopter to Kohistan, Kyber-Paktunkhwa. Almost immediately after the onset of the worst floods in Pakistan’s history last summer, the U.S. government’s response effort leaped into action. In the four months since the floods hit, the United States has contributed $500 million to relief and early recovery efforts. In addition, the U.S. military — in partnership with their Pakistani counterparts — flew helicopter relief missions that rescued more than 40,000 people and delivered more than 26 million pounds of relief supplies. What is less well known is the U.S. military’s efforts to help journalists in Pakistan provide quality coverage of the impact of the floods and ongoing relief operations. Working with the Public Affairs Office at the American Embassy in Islamabad, the U.S. military took 194 international and Pakistani journalists by helicopter to flood-affected areas. The U.S. military’s assistance in transporting journalists to the heart of the flood-affected areas, facilitating eyewitness coverage, was critical for two reasons. First of all, the bird’s eye view was by far the best way to grasp the size and scale of the damage. Video images from the helicopter flights were used widely on Pakistani and international television stations. Second, the worst-hit regions were inaccessible by road. U.S. military helicopters were able to ferry journalists to areas isolated by floodwaters, giving them access to the real story and thereby giving a voice to the victims. This coverage has helped Pakistanis and the international community better understand the enormity of the flood’s destruction as well as the scale of relief and recovery operations. While the U.S. military flew its last humanitarian airlift mission on November 30, USAID and other U.S. civilian agencies will continue to partner with the government of Pakistan to provide assistance to flood victims, and the Embassy’s Public Affairs Office will continue to work with journalists to provide timely and accurate information about flood rehabilitation and reconstruction efforts. 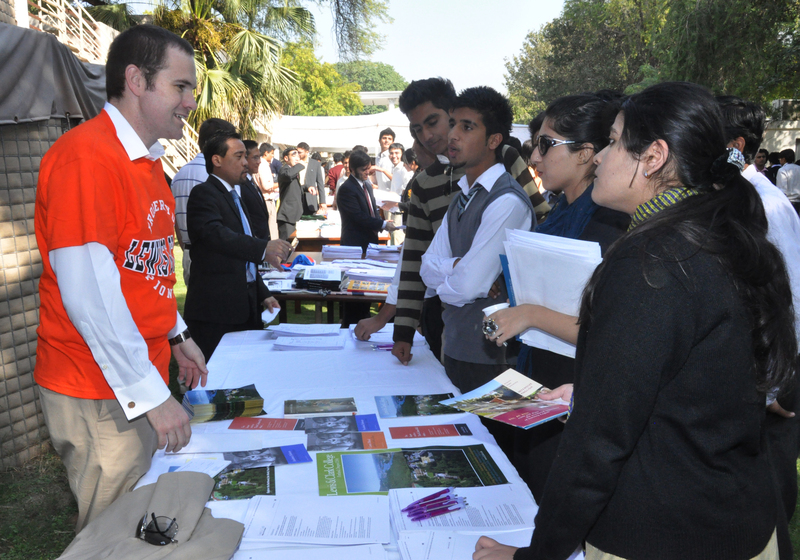 American Embassy officer in Islamabad talks with Pakistani students about attending college in the United States. In honor of International Education Week (IEW), the U.S. Embassy reached out to young Pakistanis to say: Study in the U.S.A.! International Education Week is a joint initiative by the U.S. Departments of State and Education to attract foreign students to study, learn, and exchange experiences in the United States. In Pakistan, we already have the world’s largest Fulbright and professional exchange programs, and send over 200 Pakistanis every year on study experiences at high schools and universities around the United States. In total, 5,222 Pakistani students attended college in America last year, but if you figure that since 50 percent of Pakistan’s population of 170 million is under 25, there’s a lot of room for growth. So IEW was the perfect opportunity to get out the word that the United States of America wants more Pakistani students. In conjunction with the U.S. Educational Foundation in Pakistan (USEFP), we held two mini-college fairs last week. The first was for top high school students who will begin their bachelor’s degrees next year. We also held a separate fair for current university students interested in pursuing graduate school opportunities. American diplomats represented more than 20 alma maters, from big schools like Ohio State University to small schools like Clark University, in big cities like Los Angeles to rural areas like Lawrence, Kansas. Consular officers answered questions about the student visa process and the USEFP provided information about financial aid. Students also heard from Pakistanis who studied in the United States and have since returned home. It was inspiring to hear their perspectives on U.S. liberal arts education and how they are bringing their skills and experience back to Pakistan. One woman addressed possible concerns by noting how curious Americans were to learn about Pakistan and the tolerance she found at her university. Another described the pride she felt at being a student ambassador of Pakistan to the United States. During IEW, we celebrate the diversity that foreign students bring to campuses around the United States. Last year, we admitted nearly 700,000 foreign students, exceeding the number that came prior to the September 11 attacks. Over the next year we will be partnering with USEFP to reach out to more students and spread the word that America welcomes international students. Through our efforts, we hope to encourage more young Pakistanis to bring their ideas, knowledge, culture and perspective to enrich our universities and our country, as they enrich themselves and Pakistan in return. Saturday nights in Islamabad are usually pretty sleepy. But on October 9, the U.S. Embassy in Islamabad “overloaded” the auditorium at the Pakistani National Council of Arts in a concert to celebrate the legacy of Daniel Pearl. The Pakistani band “Overload” played their mix of Sufi folk tunes set to modern rock to almost 500 local university students. 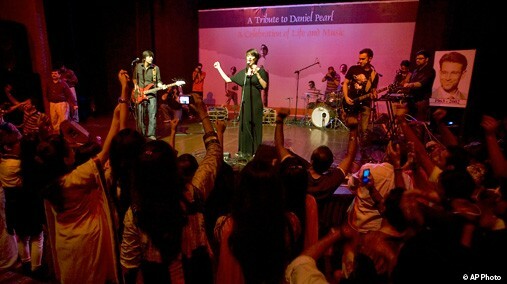 It was one of hundreds of concerts held around the world in October in honor of Daniel Pearl, the Wall Street Journal bureau chief who was brutally murdered by extremists in Karachi in 2002. In addition to being a journalist, Daniel was also a talented musician who joined musical groups in every community in which he lived, leaving behind a long trail of musician-friends spanning the entire world. After his death, his family set up the Daniel Pearl Foundation, which created World Music Days to promote dialogue and understanding, counter cultural and religious hatred, encourage responsible and balanced journalism, and promote peace through music. Commemorating Daniel’s October 10 birthday, World Music Days organizes concerts around the world to use the universal language of music to encourage fellowship across cultures and build a platform for “Harmony for Humanity.” Since World Music Days’ inception in 2002, more than 4,900 concerts in 102 countries have been dedicated to Daniel Pearl. We asked “Overload” to play because of their unique blending of new and old and east and west. The band has brought traditional Sufi music and traditional drumming to younger crowds by adding electric guitars and vocals by lead singer Meesha Shafi. Their musical fusion is just one example of how young Pakistanis are building on their rich cultural heritage to create something new and positive. Daniel Pearl stood for freedom of expression and the power of music to bring people across cultures and borders together. Extremists in Pakistan, like Daniel’s captors, have always tried to silence music and personal expression when they take control of an area; they see musical influences as a threat to their ideology. They do so because Pakistani music — a source of joy, a bridge between young and old, and one of many ways to worship — can drown out their hateful ideology. I am proud that the U.S. Embassy supported the Daniel Pearl Day concert to connect our two countries through music and spread a message of hope and unity in the face of violence. The best part about the show — even better than the music and dancing — was the affirmation of life, tolerance, and pluralism shared throughout the evening. For more information and photos from the show, visit our website website. And for those of you in Pakistan, check out the concert on Saturday, October 16 at 11 pm on the ARY Music Channel! While the American news media has turned to mid-term elections and football season, Pakistan continues to flood. It is natural for coverage to fade after a natural disaster is over. However, in Pakistan, heavy rains continue. While water is receding in some areas, it is arriving in new ones every day. The floods are now moving down the Indus River to southern Pakistan. To put this in an American context, an area the size of Maine all the way to Florida has been affected. Six weeks in, the magnitude of the disaster and the enormous rebuilding effort ahead still merits front page attention. At the State Department, the long-term effort to help Pakistan with flood relief and early recovery began immediately and will continue long-term. The U.S. government has now donated $345 million, making it the largest single donor to the flood relief efforts. American military helicopters have rescued 15,000 people and delivered more than seven million pounds of relief supplies. Special Representative for Afghanistan and Pakistan Ambassador Richard Holbrookevisited Pakistan from September 14-18 to survey flood-affected areas and review U.S. humanitarian assistance. 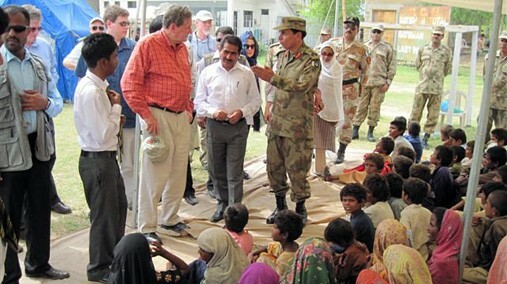 Ambassador Holbrooke visited camps in Thatta, one of the worst affected districts in Pakistan. The sea was on high tide when flooded river water reached it multiplying the damage. By August 28, 175,000 people had left their homes, camping on the main road under open sky, surrounded by the suffering flood affectees and their last remaining livestock. Now the Makli tombs — a revered archeological site — are surrounded by flood affectees; it is on higher ground, so the people have fled there. Describing the magnitude of the disaster, Ambassador Holbrooke emphasized that “In the over 40 years that I have visited refugee camps, I have never seen so many refugees outside the camps along the dykes, along the roads, not wanting to be separated from their land even though their land is under water, in such difficult conditions.” Ambassador Holbrooke then traveled to Multan, one of the oldest cities in southern Punjab, where the waters have started to recede. There he joined Foreign Minister Qureshi, and met with dozens of local humanitarian groups working tirelessly on immediate relief efforts. Pakistan: Eye of the Storm by Owen Bennett Jones – an insightful study of Pakistan’s post-partition history from the perspective of a BBC Correspondent who lived in Pakistan from 1998-2001. 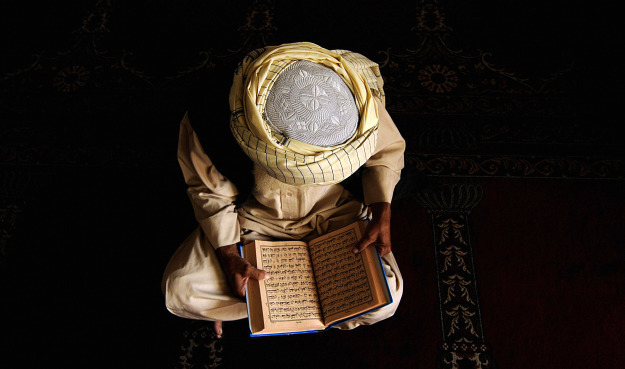 Lessons from the Holy Wars: A Pakistani-American Odyssey by Rob Asghar – a first hand account from a Pakistani American about his life, faith, and culture. 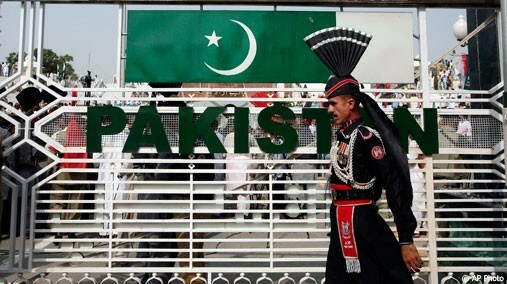 Pakistan: Between Mosque and Military by Husain Haqqani: An analysis by the current Pakistani Ambassador to the United States of his country’s quest for identity and security. In a 2001 editorial, Richard Holbrooke asked, “How can a man in a cave out-communicate the world’s leading communications society?” Since then, the U.S. government has worked hard to improve its ability to communicate its views and create dialogues to further mutual understanding, particularly in Afghanistan and Pakistan. I want to be part of that effort. In my role as a Foreign Service Officer for the State Department, I will be serving as an Assistant Information Officer at the Public Affairs Section in the U.S. Embassy in Islamabad for the next year. To prepare for my assignment, I’ll be taking public diplomacy and Urdu training. I’ve just finished a month-long course at the Foreign Service Institute for Information Officers. We’ve focused on how to understand our audience, engage with the press, and counter misinformation. We learned about working with traditional media and how social media helps us reach out and dialogue directly with people all over the world. We set up mock press conferences and TV interviews, discussed strategies for using Facebook, and tweeted in foreign languages. I’m excited to take what I’ve learned and have the opportunity to work with the Pakistani press to explain U.S. policy and engage with the Pakistani people through the media. In addition to increasing development resources, the Public Affairs Section is increasing the number of staff devoted to working with the press. When Secretary Clinton was in Islamabad recently, she was asked at a town hall event about the U.S. government’s engagement with the Pakistani media. She responded that, “[F]or both our respect that Pakistan has such a free media environment and our desire to try to set the record straight where we think it is not, we have drastically increased our involvement with the media.” She also asked for ideas about what else we could be doing. The first step in any public diplomacy journey is to listen, so I’m interested in what more you think we should be doing to reach out to the Pakistani people? How else can we work with the press to convey that we understand the country’s needs and are working in partnership on their priority areas such as flood relief, energy projects, education, and infrastructure? For example, the United States reacted quickly to the recent flooding in Pakistan, delivering halal meals and helicopters to rescue people stranded by high water within days. The State Department created a web page specifically dedicated to sharing with the public the latest U.S. official remarks, fact sheets, and donor contact information: www.state.gov/pakistanflooding. In addition to the U.S. assistance of $200 million dollars to flood relief, Secretary Clinton announced August 18 that people can provide immediate assistance to flood victims using their mobile phones and online. The U.S. government, through the Department of State, has established the Pakistan Relief Fund for all to join in the tremendous relief, recovery and reconstruction effort. 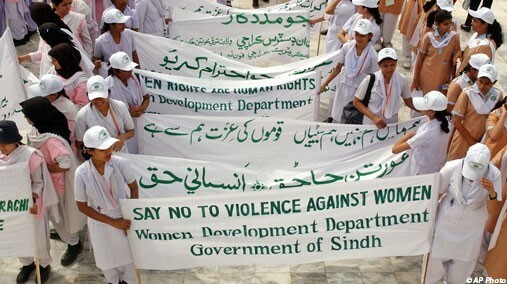 Individuals, corporations, and other organizations can send much needed help to the people of Pakistan by contributing to this fund at www.state.gov. In the United States, individuals can send $10 through mobile phones by texting “FLOOD” to 27722. Secretary Clinton spoke directly to the people of Pakistan during her two trips there in the last year. After a year of anticipation, I’m excited to move to Islamabad in September and follow up on her good work! I hope that by sharing my experiences that I can help bring two great countries closer together in some small way. That won’t be easy, nor will it be quick. But join me for this adventure as write about my experiences preparing for and serving in the Public Affairs Section at the U.S. Embassy in Islamabad. Please subscribe to my blog for future posts or check back soon for my next update. Please share your comments about this entry on the copy posted on the State Department’s Dip Note at: http://blogs.state.gov/ap/index.php/site/entry/assignment_islamabad. Thanks!